SiSoftware Sandra Platinum is a utility, which includes remote analysis, benchmarking and diagnostic features for PCs, servers, mobile devices and networks. This test has been popular for CPU and memory benchmarks for well over a decade and it is one of the easiest benchmarks out there to run. 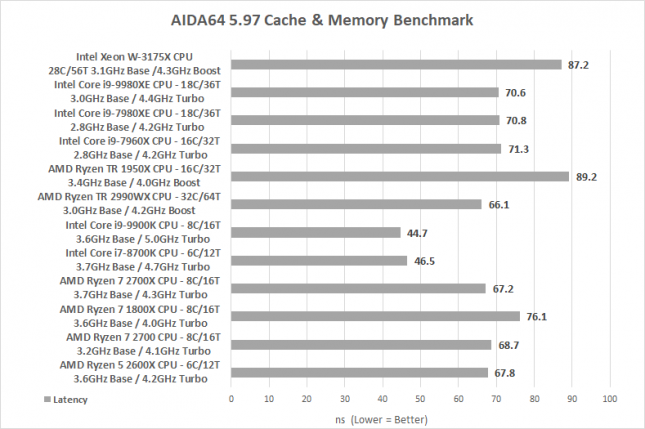 AIDA64 provides detailed information about installed software and offers diagnostic functions and support for overclocking. As it is monitoring sensors in real time, it can gather accurate voltage, temperature and fan speed readings, while its diagnostic functions help detect and prevent hardware issues. It also offers a couple of benchmarks for measuring either the performance of individual hardware components or the whole system. It is compatible with all 32-bit and 64-bit Windows editions, including Windows 10 and Windows Server 2016. 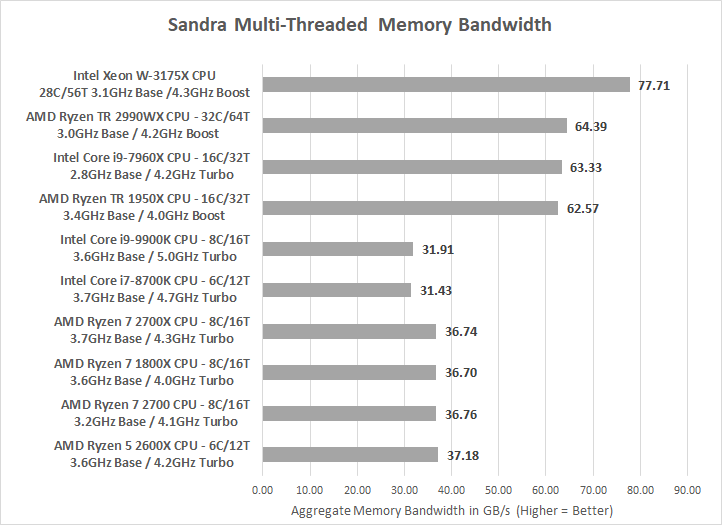 Memory Bandwidth Results Summary: The memory bandwidth on the new Intel Core i9-9980XE is just a touch faster than the Intel Core i9-7980XE. 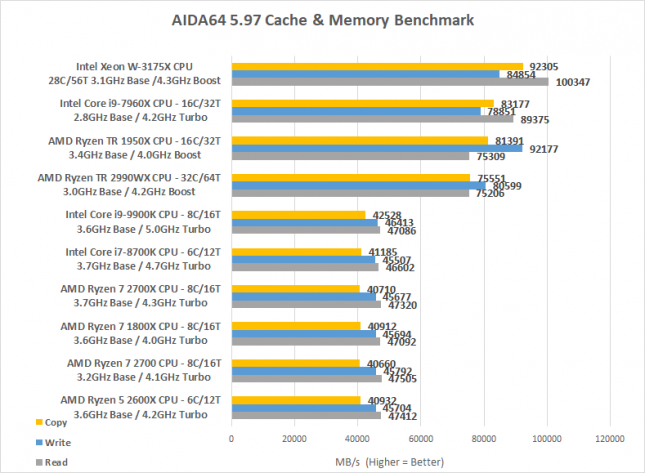 All of the processors tested are running DDR4 3200MHz CL16 kits and that is why the dual-channel and quad-channel kits all have the same basic memory bandwidth. When you look at the latency of the memory kit though you’ll start to see where the CPU architecture comes into play more.